A Danish health care card, giving the holder access to the Danish public health care. The central government plays a relatively limited role in health care in Denmark. Its main functions are to regulate, coordinate and provide advice and its main responsibilities are to establish goals for national health policy, determining national health legislation, formulating regulation, promoting cooperation between different health care actors, providing guidelines for the health sector, providing health and health care-related information, promoting quality and tackling patient complaints. The Danish Quality Model, based on the Institute for Quality and Accreditation in Healthcare was introduced in 2005 and run in cooperation between Danish Regions, the Ministry of Health, Health Protection Agency, KL, the Danish Pharmaceutical Association and the Danish Chamber of Commerce. In April 2015 it was announced by Health Minister Nick Haekkerup and President of Danish Regions Bent Hansen that it was to be abandoned. Hansen said "“Quality work must be simplified and focused. The time has come to strengthen it by putting the patient at the centre, rather than focusing on compliance with a variety of standards. Accreditation has been justified and useful, but we move on. We need a few national targets to be met locally with strong commitment from the staff and with room for local solutions". The financial stability law introduced in 2012 means that all regions and municipalities must keep within 1.5% of their budgets. The Central government must also now approve the introduction of new specialist facilities or the closure of existing facilities. The 5 regions are responsible for hospitals and general practitioners. They are financed mainly through income taxes. 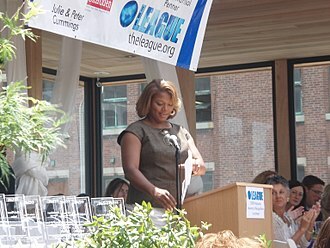 The 98 local communes have long had responsibilities for nursing homes and care services. Local political accountability to a population with a large proportion of elderly people means that these services get political attention. The level of satisfaction with the health system in 1997 was greater than in other EU countries, including some with larger health care expenditures per capita. In 1988, legislation a law was passed limiting the construction of new nursing homes and nursing homes were converted to single-occupancy rooms. From 1997 all new housing for older people was required to have at least a bedroom, sitting room, kitchen, and bath. The Skaevinge Municipality set up an Integrated Home Care project in 1984 which was evaluated by the Danish Institute of Health Care in 1997. Health care was made available to all citizens both in institutions and in their own homes and prevention and support to maintain and strengthen their health and quality of life were prioritised. They were involved in decision-making and the staff, working in small teams were given more autonomy. It was found that in 1997 40.8% of older people assessed their own health as good in comparison with 28.9% people of the same age in 1985. The number of days people over 67 spent in hospital fell by 30%. The nursing home was closed and became a hub for community support services which included a senior center, day care, rehabilitation, 24-hour home care, and assisted living organised in three geographical teams. Nursing home staff were guaranteed jobs in the new set up. This integrated approach was widely adopted in Denmark. Nursing homes and home care organizations were no longer staffed separately. Between 1985 and 1997 the number of nursing home beds in Denmark was reduced by 30%. Denmark does not have nationwide Electronic health records. It is mandatory for primary care practices and hospitals to use EHRs. The Danish Health Data Network (Medcom) acts as a data integrator to ensure interoperability. Unfortunately, non-interoperability is an issue despite the high adoption rate. The five regions are attempting to address this problem by each setting up their own electronic health record systems for public hospitals. However, all patient data will still be registered in the national e-journal. See also Electronic health record. In 2016, the Danish healthcare expenditure amounted to $5,205 U.S. dollars per capita (approximately 10.4 percent of GDP), with around 84.0 percent of healthcare expenditure being funded by governmental or compulsory means. Healthcare in Denmark is largely financed through local (regional and municipal) taxation with integrated funding and provision of health care at the regional level. The national tax for healthcare is set at around eight percent of the total taxable income. The money is then disbursed to be used by the five administrative regions of local government according to the guidelines set by the central government. According to the OECD, in 2016 the private healthcare expenditure in Denmark was $831 U.S. dollars per capita (approximately 1.7 percent of GPD). The private healthcare insurance aids in covering a variety of copayments not fully covered by public healthcare funding. Citizens of Denmark may choose between two different types of health insurance groups, 1 and 2. Most are in group 1, which includes the majority of general practitioners, who are paid on a combined capitation and fee-for-service basis in a similar way to those in the United Kingdom. The regions determine the number and location of general practitioners, and their fees and working conditions are negotiated centrally between the physicians' union and the government. The municipal health services provide health visitors, home nurses and school health care. There is 1 doctor for every 294 persons in Denmark. Citizens are assigned a specific general practitioner (GP) and may receive aid at no cost, including visiting a medical specialist at the referral of their GP. More than 99 percent of patients are covered by the insurance from group 1. Those who have the insurance provided by group 2 may visit any GP or medical specialist they wish, but may be subjected to copayments at their visit. Citizens with this type of insurance make up less than 1% of the population. Hospital care is mainly provided by hospitals owned and run by the regions. This is similar to the model in other Scandinavian countries. Denmark has seen the decline in general acute care hospital's from 82 in 1997 to 52 in 2004. The number of hospital beds per 1000 people has also decreased from 4.64 in 1997 to 2.53 in 2015. According to the Danish Ministry of Health, the hospital sector is undergoing modernized restructuring by "merging specialised functions into fewer and larger units." Unlike standard hospital services, which are run by the regions within the country, these specialised hospital functions are overseen by The Danish Health Authority. Denmark is one of the highest spenders in the OECD of spending of hospitals per capita, accounting for around 43% of the total health expenditure, significantly above the 35% average in the OECD. There are few private hospital providers, such as Danske Privathospitaler (DAPH), and they account for less than 1% of hospital beds. Denmark has made dramatic advances in the reduction of heart disease mortality according to the Euro health consumer index. Life expectancy in Denmark has increased from 77.9 years in 2005 to 80.6 years in 2015. Danish women have a higher life expectancy (82.5 years in 2015) than Danish men (78.6 years in 2015). Denmark is one of the world's leaders in the use of health care technology. Virtually all primary care physicians have electronic medical records with full clinical functionality. Practitioners use Electronic Medical Records (EMR) and Electronic Prescribing to exchange clinical messages (EDI) using the MedCom network. Despite the high adoption levels, for several years Denmark has suffered from eHealth system fragmentation that has led to eHealth's inability to reach its full potential in delivering quality healthcare services. The Regions of South Denmark, Region North and Central Region Demark have implemented modern and coherent EMR's with a number modules. The largest coherent EMR installation is in the Central Region of Denmark. The solution is delivered by the Danish company Systematic, and was centralized to be used in all 17 hospitals that have more than 20,000 users. In an attempt to unify their fragmented e-health network, the Zealand regions will begin using a common EMR in 2016, Epic. Due to the expanding ability to diagnose and treat psychiatric problems, Denmark has enhanced its treatment system for those dealing with a psychiatric issue. According to the Danish Ministry of Health, the number of patients who have received psychiatric hospital services has increased 28 percent from 2009 to 2014. Denmark has also had a decline in its suicide rate from 33.90 suicides per 100,000 people down to 10.60 suicides per 100,000 people. The National Childhood Vaccination Program in Denmark provides free vaccinations to children for many diseases including Diphtheria, Tetanus, and Whooping Cough. From 1980 to 2015, vaccination coverage for those diseases increased from 88% to 93% of the children in Denmark, and the nation has consistently maintained 90% coverage or more since 2010. Those aged 65+ also receive the influenza vaccine for free as well. Denmark also vaccinated 41.90% of the population aged 65 or above in 2015, a drastic increase from 6.20% in 2002. The cost of vaccinations is covered by the regions, with the exception of vaccinations required for vacation travel. ^ "Hospital accreditation to end – in Denmark". GP Access UK. 20 April 2015. Retrieved 28 April 2015. ^ Britnell, Mark (2015). In Search of the Perfect Health System. London: Palgrave. p. 88. ISBN 978-1-137-49661-4. ^ Wagner, Lis (2001). "Integrated Health Care for Older People in Denmark -Evaluation of The Skaevinge Project "Ten years on"" (PDF). Retrieved 27 January 2017. ^ Stuart, Mary; Weinrich, Michael (1 August 2001). "Home- and Community-Based Long-Term Care: Lessons From Denmark". Gerontologist. 41 (4): 474–480. doi:10.1093/geront/41.4.474. Retrieved 27 January 2017. ^ Kierkegaard P (December 2013). "eHealth in Denmark: a case study". Journal of Medical Systems. 37 (6): 9991. doi:10.1007/s10916-013-9991-y. PMID 24166019. ^ a b "Health Spending (indicator)". OECD. OECD (2017). doi: 10.1787/8643de7e-en. doi:10.1787/8643de7e-en. Retrieved 4 December 2017. ^ a b "The Danish Health Care System". International Health Care Systems Profiles. The Commonwealth Fund. Retrieved 4 December 2017. ^ "Social responsibility in a technocracy". FloatHaven/TEL. 2011. 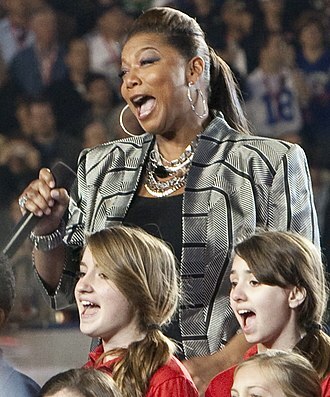 Archived from the original on 2011-11-18. ^ a b c d e f "Healthcare in Denmark: An Overview". Ministry of Health. Ministry of Health. Retrieved 6 December 2017. ^ "Number of Hospital Beds per 1000 Inhabitants". OECD. OECD. Retrieved 6 December 2017. ^ OECD Reviews of Health Care Quality. Raising Standards. [Paris]: OECD. 2013. ISBN 978-92-64-19113-6. ^ "Outcomes in EHCI 2015" (PDF). Health Consumer Powerhouse. 26 January 2016. Retrieved 27 January 2016. ^ "MedCom". MedCom.dk. 2013. Archived from the original on 2013-11-01. ^ Ravn, Svend (2013). "Regions Choose Epic and NNIT for healthcare IT on Zealand". Archived from the original on 2014-08-12. ^ "Suicide Rates". OECD. OECD. Retrieved 6 December 2017. ^ "Child Vaccination Rates". OECD. OECD. Retrieved 6 December 2017. ^ "Influenza Vaccination Rates". OECD. OECD. Retrieved 6 December 2017. The Faroe Islands, spelled the Faeroes, is an archipelago between the Norwegian Sea and the North Atlantic, about halfway between Norway and Iceland,320 kilometres north-northwest of Scotland. Its area is about 1,400 square kilometres with a population of 49,188 in 2016, the Faeroe Islands is an autonomous country within the Danish Realm. The land of the Faeroes is rugged, and these islands have an oceanic climate, wet, cloudy. 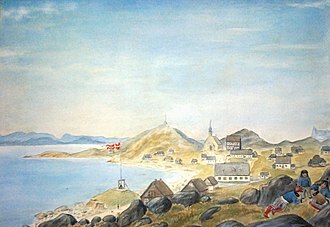 Despite this island groups northerly latitude, temperatures average above freezing throughout the year because of the Gulf Stream, between 1035 and 1814, the Faeroes were part of the Hereditary Kingdom of Norway. In 1814, the Treaty of Kiel granted Denmark control over the islands, the Faroe Islands have been a self-governing country within the Kingdom of Denmark since 1948. The Faroese have control of most domestic matters, areas that remain the responsibility of Denmark include military defence, the police department, the justice department and foreign affairs. However, as they are not part of the customs area as Denmark, the Faroe Islands have an independent trade policy. The islands have representation in the Nordic Council as members of the Danish delegation, the people of the Faroe Islands compete as national team in certain sports. 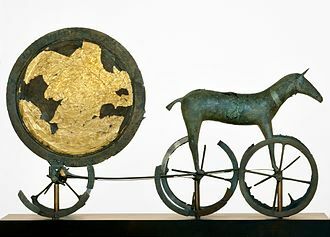 In Danish, the name Færøerne may reflect an Old Norse word fær, the morpheme øerne represents a plural of ø in Danish. The Danish name thus translates as the islands of sheep, in Faroese, the name appears as Føroyar. Oyar represents the plural of oy, older Faroese for island, the modern Faeroese word for island is oyggj. In the English language, their name is sometimes spelled Faeroe, archaeological evidence shows settlers living on the Faroe Islands in two successive periods prior to the arrival of the Norse, the first between 400 and 600 and the second between 600 and 800. Scientists from the University of Aberdeen have found early cereal pollen from domesticated plants, archaeologist Mike Church noted that Dicuil mentioned what may have been the Faroes. He suggested that the living there might have been from Ireland, Scotland or Scandinavia. The Monarchy of Denmark, colloquially known as the Danish Monarchy, is a constitutional institution and a historic office of the Kingdom of Denmark. The Kingdom includes not only Denmark, but the regions of Greenland. 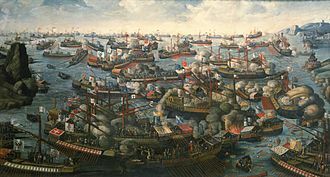 The Kingdom of Denmark were already consolidated in the late 8th century, originally an elective monarchy, it became hereditary only in the 17th century during the reign of Frederick III. 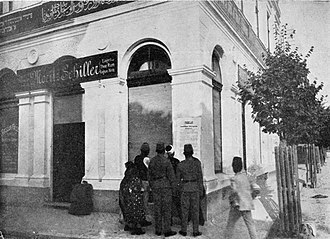 A decisive transition to a constitutional monarchy occurred in 1849 with the writing of the first Constitution, the current Royal House is a branch of the princely family of Glücksburg, originally from Schleswig-Holstein in Germany, the same royal house as the Norwegian and former Greek royal families. The Danish Monarchy is constitutional and as such, the role of the monarch is defined and limited by the Constitution of Denmark, the monarch is, in practice, limited to non-partisan functions such as bestowing honours and appointing the Prime Minister. The monarch and his or her immediate family undertake various official, diplomatic, Queen Margrethe II ascended the throne on the death of her father, King Frederick IX, on 14 January 1972. On her accession, Queen Margrethe II became the first female monarch of Denmark since Margrethe I, ruler of the Scandinavian countries in 1375‒1412, during the Kalmar Union. Danish regnal names have traditionally alternated between Frederick and Christian, Margrethe has taken the place of a Christian, and accordingly her heir apparent is Crown Prince Frederik. The modern Kingdom of Denmark dates back to Harthacnuts son, Gorm the Old, the first King of a united Scotland was King Kenneth MacAlpin who died around 80 years before Gorm the Old was born. The Danes were united and officially Christianized in 965 CE by Harald Bluetooth, the Jelling stones attests that Harald had won Norway. The son of Harald, Sweyn Forkbeard, mounted a series of wars of conquest against England, the reign of Cnut represented the peak of the Danish Viking age, his North Sea Empire included Denmark, Norway and held strong influence over the north-eastern coast of Germany. The last monarch descended from Valdemar IV, Christopher III of Denmark, Count Christian of Oldenburg, descendant of Valdemar IVs aunt Richeza, was chosen as his successor and became the next monarch of Denmark, ruling under the name Christian I. The Constitutional Act of Denmark, or simply the Constitution, forms a part of the supreme law of Kingdom of Denmark, applying equally in Denmark and the Faroe Islands. It lays down the framework defining fundamental political principles of governance and establishes the structure, powers, sections set out fundamental rights and the duties of citizens, such as freedom of speech, freedom of religion and compulsory military service. The Kingdom is governed on the basis of this Constitutional Act but it is complemented by Royal Law, the Act of Succession and devolution arrangements in Greenland and the Faroe Islands. The government of Denmark, as described in Part One of the Constitutional Act, is a system under a constitutional monarchy. In its present form, the Constitutional Act is from 1953 and its adoption ended an absolute monarchy and introduced democracy. Denmark celebrates the adoption of the Constitution on 5 June—the date in which the Constitution was ratified—every year as Constitution Day, the Danish Parliament cannot make any laws which may be repugnant or contrary to the Constitutional Act. However, Denmark has no court, and establishing such a court would require a constitutional amendment. Changes to the Act must be confirmed by a majority in two parliamentary terms and the approval of the electorate through a national referendum. The Danish Constitution differs from all other Danish laws by virtue of its superseding status, as such, these laws are not permitted to contravene the provisions of the Constitution Act. 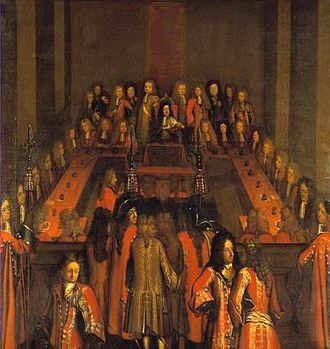 The main principle of the Constitutional Act was to limit the Kings power and it creates a comparatively weak constitutional monarch who is dependent on Ministers for advice and Parliament to draft and pass legislation. The Constitution of 1849 established a parliament, the Rigsdag, consisting of the Landsting. The most significant change in the Constitution of 1953 was the abolishment of the Landsting, leaving the unicameral Folketing and it enshrined fundamental civil rights, which remain in the current constitution, such as habeas corpus, private property rights and freedom of speech. The Constitutional Act has been changed very few times, but always with the consent of Danish citizens, the wording in the Act is so general that it can still be applied today, despite major changes in society and political life in the intervening years. However, since Denmark lacks a Constitutional Court, scrutiny of legislation for compatibility with the Constitution is a matter for ordinary courts, significantly this means that the actual testing of compatibility can only be instigated by a citizen or company who is affected by the question. When reading the Danish Constitution, it is important to bear in mind that the King is meant to be read as the government because of the symbolic status. 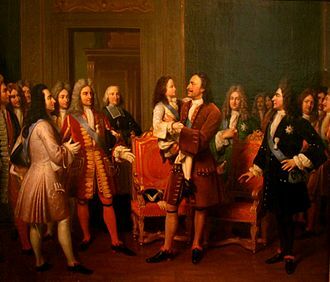 This is a consequence of sections 12 and 13, by which the King executes his power through his ministers, an implication of these sections is that the monarch cannot act alone in disregard of the ministers, so the Danish monarch does not interfere in politics. The Danish Parliament is the power, enacting the laws of the country. 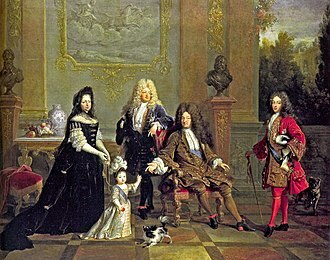 The Danish royal family consists of the dynastic family of the monarch. All members of the Danish royal family, except Queen Margrethe II, dynastic children of the monarch and of the heir apparent are accorded the style of His/Her Royal Highness, while other members of the dynasty are addressed as His/Her Highness. The Queen is styled Her Majesty, the Queen and her siblings belong to the House of Glücksburg, which is a branch of the Royal House of Oldenburg. The Queens children and male-line descendants belong agnatically to the family de Laborde de Monpezat, the Danish royal family enjoys remarkably high approval ratings in Denmark, possibly ranging from somewhere between 82% and 92%. During this time she was still a Princess of Denmark and thus a member of the Danish royal family, in 2005, her former mother-in-law granted her the additional title of grevinde af Frederiksborg, a personal title which would not be forfeited if Alexandra remarried. When she remarried on 3 March 2007, she lost the style of Highness and titular dignity of Princess of Denmark, until 1953 his dynastic male-line descendants remained in Denmarks order succession. However, no Danish act has revoked usage of the title for these descendants, neither for those living in 1953. 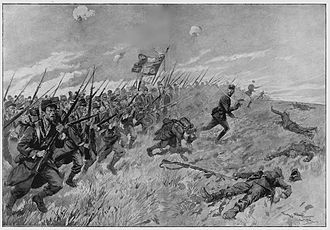 There are three members of the Greek royal family who are not known to bear the title of Prince/ss of Denmark with the qualification of His/Her Highness, the Ducal Family of Schleswig-Holstein descends in the legitimate male line from Christian III of Denmark. Danish princes who marry without consent of the Danish monarch lose their dynastic rights, the ex-dynasts are usually accorded the hereditary title Count of Rosenborg. 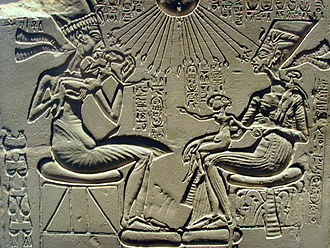 Female descendants were eligible to inherit the throne in the event there were no surviving male dynasts born in the male line. 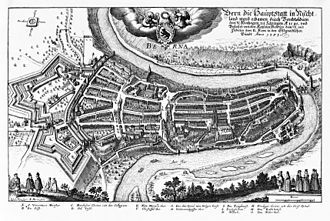 As for the duchies and Lauenburg where the King ruled as duke, these lands adhered to Salic law, the duchies of Schleswig and Lauenburg were joined in personal union with the Crown of Denmark. That meant that the new King of Denmark would not be the new Duke of Schleswig or Duke of Holstein, in 2009, the mode of inheritance of the throne was once more changed, this time into an absolute primogeniture. The European Parliament is the directly elected parliamentary institution of the European Union. Together with the Council of the European Union and the European Commission, the Parliament is composed of 751 members, who represent the second-largest democratic electorate in the world and the largest trans-national democratic electorate in the world. It has been elected every five years by universal suffrage since 1979. However, voter turnout at European Parliament elections has fallen consecutively at each election since that date, voter turnout in 2014 stood at 42. 54% of all European voters. The Parliament is the first institution of the EU, and shares equal legislative and it likewise has equal control over the EU budget. Finally, the European Commission, the body of the EU, is accountable to Parliament. In particular, Parliament elects the President of the Commission, and it can subsequently force the Commission as a body to resign by adopting a motion of censure. The President of the European Parliament is Antonio Tajani, elected in January 2017 and he presides over a multi-party chamber, the two largest groups being the Group of the European Peoples Party and the Progressive Alliance of Socialists and Democrats. The last union-wide elections were the 2014 elections, the European Parliament has three places of work – Brussels, the city of Luxembourg and Strasbourg. Luxembourg is home to the administrative offices, meetings of the whole Parliament take place in Strasbourg and in Brussels. 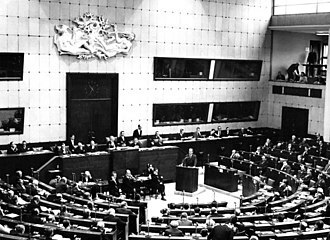 Committee meetings are held in Brussels, the Parliament, like the other institutions, was not designed in its current form when it first met on 10 September 1952. 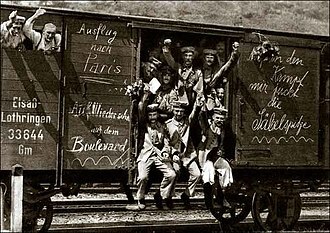 One of the oldest common institutions, it began as the Common Assembly of the European Coal and it was a consultative assembly of 78 appointed parliamentarians drawn from the national parliaments of member states, having no legislative powers. Its development since its foundation shows how the European Unions structures have evolved without a master plan. Some, such as Tom Reid of the Washington Post, said of the union, nobody would have designed a government as complex. Even the Parliaments two seats, which have switched several times, are a result of various agreements or lack of agreements, the body was not mentioned in the original Schuman Declaration. Margrethe II is the Queen of Denmark. She is the authority of the Church of Denmark. Born into the House of Glücksburg, a house with origins in Northern Germany, she was the eldest child of Frederick IX of Denmark. She succeeded her father upon his death on 14 January 1972, having had become heir presumptive to her father in 1953, on her accession, Margrethe became the first female monarch of Denmark since Margaret I, ruler of the Scandinavian countries in 1375–1412 during the Kalmar Union. Having been on the Danish throne for 45 years, she is the second longest-reigning Danish monarch after her ancestor Christian IV, in 1967, she married Henri de Laborde de Monpezat, with whom she has two sons, Crown Prince Frederik and Prince Joachim. 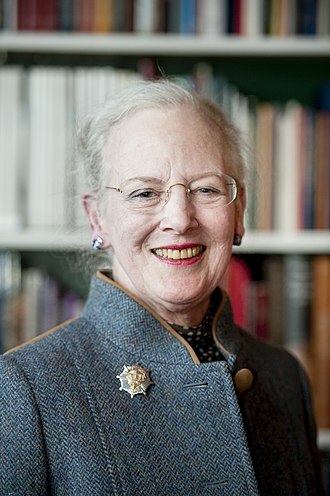 Princess Margrethe was born 16 April 1940 at Amalienborg Palace in Copenhagen as the first child of Crown Prince Frederick, King Frederick IX and Crown Princess Ingrid and her birth took place just one week after Nazi Germanys invasion of Denmark on 9 April 1940. 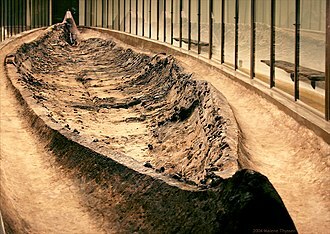 She was baptised on 14 May in the Church of Holmen in Copenhagen, since her paternal grandfather was the King of Iceland, she was given an Icelandic name, Þórhildur. When Margrethe was four years old, in 1944, her first sister, Princess Benedikte married Prince Richard of Sayn-Wittgenstein-Berleburg and lives some of the time in Germany. Her second sister Princess Anne Marie was born in 1946, anne-Marie married Constantine II of Greece and now lives in Greece. Margrethe and her sisters grew up in apartments at Frederick VIIIs Palace at Amalienborg in Copenhagen and she spent summer holidays with the royal family in her parents summer residence at Gråsten Palace in Southern Jutland. On 20 April 1947, King Christian X died and Margrethes father ascended the throne as King Frederick IX. 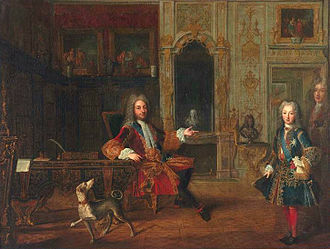 At the time of her birth, only males could ascend the throne of Denmark, as she had no brothers, it was assumed that her uncle Prince Knud would one day assume the throne. 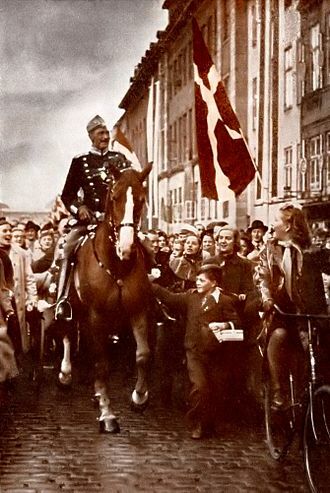 The process of changing the constitution started in 1947, not long after her father ascended the throne, the popularity of Frederick and his daughters and the more prominent role of women in Danish life started the complicated process of altering the constitution. Electoral posters in Copenhagen in May 2014, for the European election. Posters for the Social Democrats, Conservatives, and Venstre appear here. The posters at the bottom relate to the referendum on a Unified Patent Court. On a lamppost in the background of the image, a poster for the People's Movement against the EU is also visible. Frederick VII, the last king of Denmark to rule as an absolute monarch. 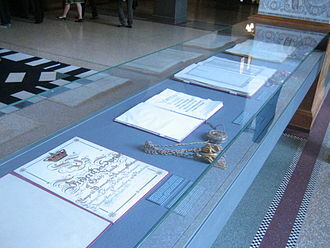 The Constitutions of Denmark located inside Folketinget. Entrance to the Danish Supreme Court, located in Christiansborg Palace in Copenhagen. 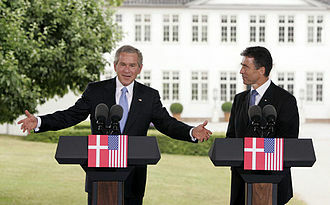 Former U.S. President George W. Bush and former Prime Minister Anders Fogh Rasmussen hold a joint press conference outside Marienborg, July 2005. 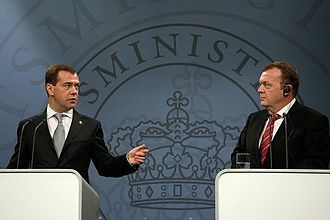 Former Russian President Dmitry Medvedev and current Danish Prime Minister Lars Lokke Rasmussen hold a joint press conference, April 2010. Election posters at Vesterbro in Copenhagen.